But the real stories are actually more pessimistic for the industry and usually at least somewhat hidden from the rosy booster pieces. Japan: The Abe government has been struggling to get any of the 50 shuttered reactors back online, despite fairly widespread public opposition to the plan. What these articles are conveniently ignoring is that while Japan may restart some of its reactors, most of them will likely stay off line forever, representing perhaps half a trillion dollars in lost revenue to nuclear utilities. 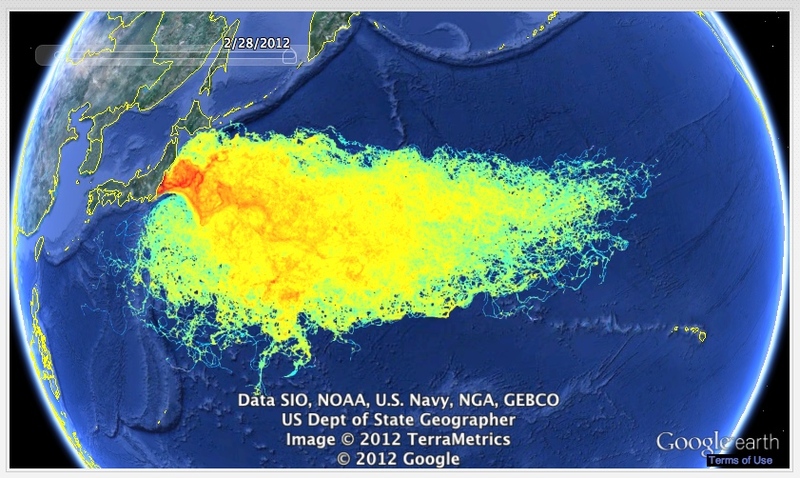 Over 300 tons of radioactive water is pouring into the Sea of Japan every day, still. Unlike the US, where the nuclear regulator regularly trumps states’ rights and can keep reactors open despite legislatures and governors wanting them closed (as happened with Vermont Yankee), the local Japanese governments can keep reactors shuttered. The under-reported story from Japan’s recent poll showed only 20% of the provincial governments with reactors would allow them to reopen. But this is only the first filter; secondly the nuclear regulator has to approve reactors for restart, and some of these sit on top of known fault lines. So Japan’s once mighty fleet of reactors (third largest in the world) will likely be reduced to a handful of restarted units. And all these reactors are at risk if another accident hits this unlucky country. US: It is true that the Federal government just provided loan guarantees for $6.5 billion to the Vogtle reactor complex in Georgia. What is also true is that this is likely to be the only loan provided by the Feds to any reactor from a program what was supposed to jump-start reactor construction in the US. At the height of the talk about a “Nuclear Renaissance” in the US there were applications for 30 new reactors in this country. Only 5 are currently being built and they are all in places where if the project gets halted, the utilities can continue to profit from the cancelled project, just as they did with the $1.6 billion ripoff at Crystal River in Florida. 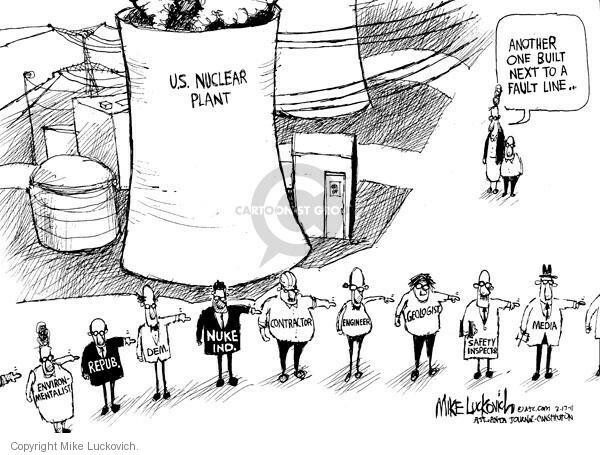 With Wall Street uninterested in new reactor construction, only in states (like Virginia) where the utilities own the government can new nuclear construction still make sense. Not because the economics are reasonable, but because profitability can be insured for the utilities through state subsidies and bailouts. Small Modular Reactors: It is very nice for Babcock and Wilcox to be getting a big navy nuclear contract. And it is unsurprising. Nuclear power in a military context has never had to worry about economic efficiency. What the media is barely reporting is that the same company, which was aggressively seeking to build small modular reactors for commercial use is now trying to dramatically reduce its risk in this field and they are finding no buyers. Small Modular Reactors (SMR) were the great white hope for rebirth of the nuclear industry in the US. The idea was that smaller “assembly line” construction of reactors would cut costs, reduce the opportunity for terrorist attack, solve the waste problem, reduce the chances of an accident and permit more flexible deployment contrasted to the larger units which have been built worldwide. It turns out all these claims are false. This did not stop a number of companies from trying to prove otherwise. Last month, Westinghouse ditched their SMR program citing a lack of prospective customers. Now with B&W out, this really only leaves NuScale which recently received up to $226 million for the US Dept of energy for development of their small reactor design. So those are some of the specific counter stories the mainstream media is not especially interested in covering. They are also only minimally covering that over 100K people in Japan can not return to their homes because of Fukushima radiation. Somewhat more often we hear about the 300+ tons of radioactive water flowing from the Fukushima accident site into the Sea of Japan. You won’t see this headline in many places. But the real headline which is missing is that the fundamental economics of nuclear is doomed when compared with real renewables. Uranium and petroleum and coal are all extraction-based energy sources. As you draw down extracted resources, they become harder and more expensive to recover. Solar, wind and geothermal are all harvest-based energy systems. These become cheaper as time goes on and the technology cheapens. 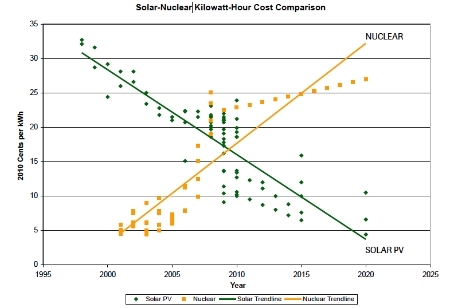 Renewables will win out, the only question is how many foolish nuclear deals will we make before we make the inevitable switch?